Hempstead, New York, USA. May 23, 2018. 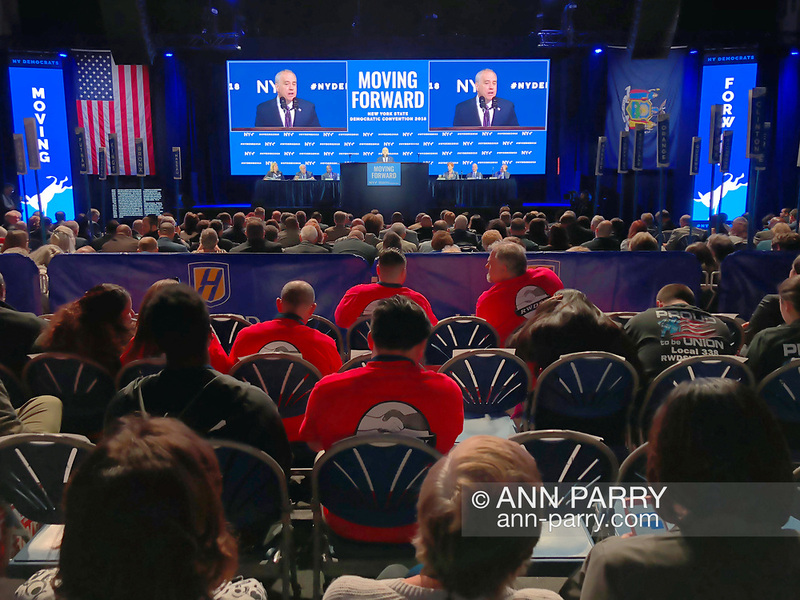 New York State Comptroller TOM DiNAPOLI makes acceptance speech after he wins unanimous nomination of delegates during Day 1 of New York State Democratic Convention, held at Hofstra University on Long Island. NYS Democratic Leaders on stage include CHRISTINE QUINN, Exec. Committee Chair, sitting to right of DiNapoli.